Reports from Italy have claimed that West Ham have been looking into signing Inter-loanee Gabriel Barbosa, and that an offer for the striker has already been made. 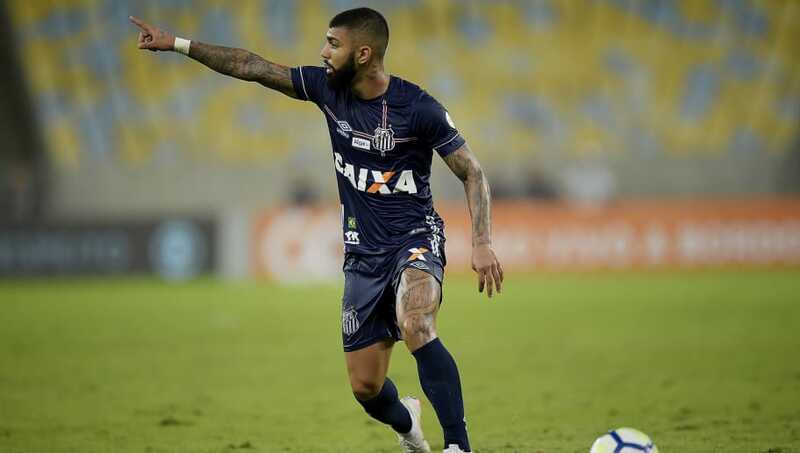 Barbosa, more commonly known as Gabigol, was linked with a move to the Hammers earlier this month, and it has now been suggested that club representatives had met with the Brazilian's agent to negotiate a potential move. According to ​Sport Mediaset, Manuel Pellegrini's side remain interested in the striker and 'at the moment' there is already an offer for Gabigol, who will return from his loan spell at Santos on January 1. Along with ​West Ham, reports also claimed that ​Premier League-rivals Crystal Palace and Everton were involved in the battle to sign the Brazilian and that Inter would be willing to let him go for a fee in the region of €20m. Inter sporting director Piero Ausilio will be responsible for making the final decision over the striker's future, and it now appears West Ham have become the frontrunners in the race to sign the former prodigy. After being loaned to his boyhood club Santos at the start of the calendar year, Gabigol has rediscovered his goal-scoring touch and has found himself as the Brazilian Serie A's top scorer this season with 16 goals. The striker burst on to the scene at the age of just 16 in his native country, with his early performances drawing comparisons with Brazil superstars Pele and Neymar. However, after an unsuccessful foray into Europe with ​Inter in the ​Serie A, Gabigol has seemingly returned to the kind of form that had many of European football's biggest sides interested in him.